What if food was made of LEGO? Watch as this guy makes some toast and eggs for breakfast, except his ingredients are all LEGO bricks. BrickBros Productions’ stop-motion animation is fun, but I don’t think it would be tasty. Plus, if it hurts like hell to step on LEGO bricks, can you imagine how they’d feel in your mouth and going down your throat. That is a painful thought. 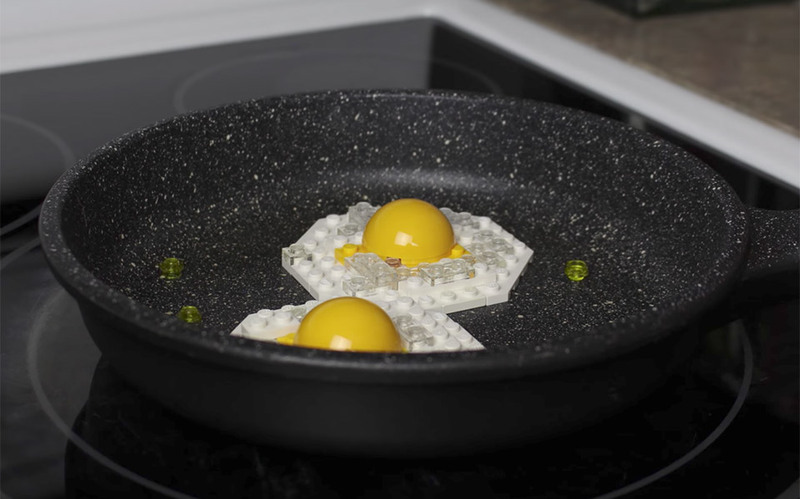 Nevertheless, it is fun to watch this guy make a LEGO breakfast. This is how the people of LEGOLand start their mornings, and to them it is nutritious and delicious.